See Dozens of Branson Stars at See the World in Branson Music Fest 2015! See the World in Branson Music Fest is back for another year in 2015 at the Welk Resort! 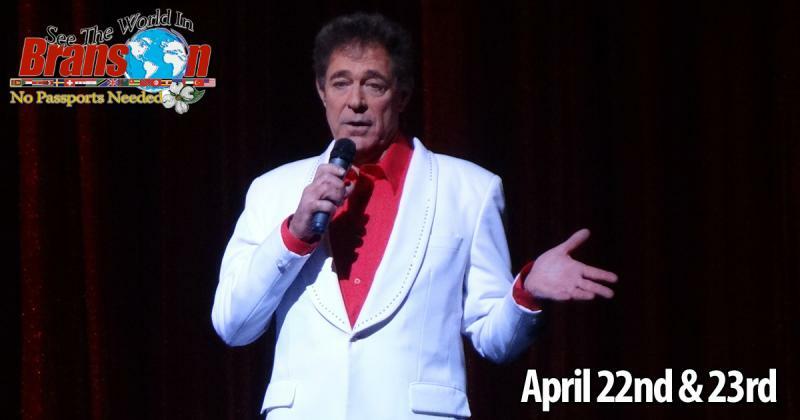 This two day event is your opportunity to see short performances from multiple Branson shows in one production, with entertainers ranging from the famous Oak Ridge Boys to Branson stars like Shoji Tabuchi to a first peek at new shows beginning their first season in Branson! This unique event is a fantastic way to experience some of the Branson shows you haven’t seen yet, and to help you decide which of the participating shows you might want to reserve show tickets for on your next Branson vacation! Music Fest will entertain visitors with three hours of entertainment each day, with a twenty minute intermission dividing the two halves of the show. The show begins at 2 p.m. on both afternoons, but you may want to arrive early to check out the other fun happening during See the World in Branson, like the “Savor the Flavors” world cuisine event, which will include cooking demonstrations from Branson stars! Whether you’re planning to attend Music Fest as a small group or a whole bus full of travelers, our team of Branson travel receptives can be a huge asset when it comes to organizing the details of your trip and providing helpful advice! For more information on the 2015 See the World in Branson Music Fest or assistance planning your visit, contact Branson Travel Planners Association by email here, and we’ll be happy to help you put together a fantastic visit to Branson to attend the exciting Music Fest event!